1. Cycle from London to Istanbul! 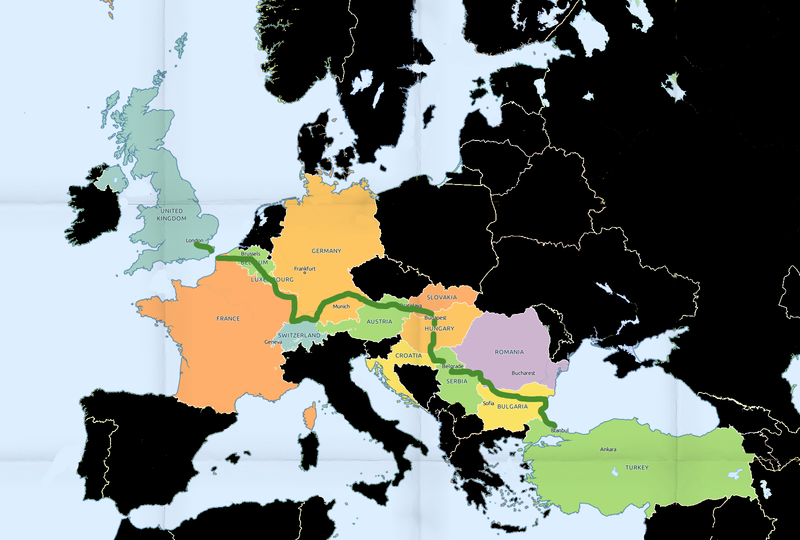 Our route crosses 13 countries and follows three main EuroVelo routes : Route 5 ‘Via Romana’ Route 6 along the river Danube, and Route 13, the Iron curtain trail. Setting off on August 10th, we hope to reach Istanbul in just over a month. Reblogged this on CIVILIZATION OF TURKISCHLANDS. There seems to be a gap in your route between Dover and Calais. How are you going to cycle over that? Where can I procure one of these contraptions? I think they would go great with my hover board. Pourquoi voyager à vélo ? Why bicycle travel ? Time for trousers, and other social norms.